Patriots Dynasty goes for sixth title, Rams trying to make history. The matchup is a battle between the present day greatness of Bill Belichick and Tom Brady versus who many think will be the future of the National Football League in Sean McVay and Jared Goff. The Patriots defeated the Kansas City Chiefs in an overtime thriller on the road to represent the AFC. The Rams were also victorious on the road in a controversial game against the New Orleans Saints and will be the NFC representative. The Los Angeles Rams will be wearing their throwback blue jerseys as the home team and the New England Patriots will be in their road white uniforms. The Patriots are playing in their third consecutive Super Bowl after being victorious against the Atlanta Falcons in Super Bowl LI and falling to the Philadelphia Eagles in Super Bowl LII last season. This also marks the 11th Super Bowl in franchise history, with the team winning five titles. It will be Tom Brady’s ninth Super Bowl appearance. 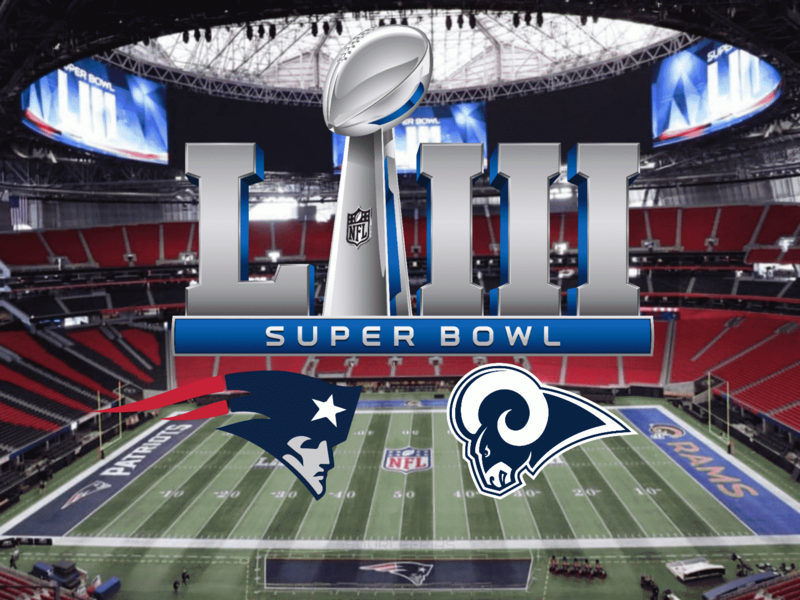 The Los Angeles Rams will be playing in their fourth Super Bowl in team history. The team has won one title and their last appearance was a loss against the New England Patriots in Super Bowl XXXVI. Where: Mercedes-Benz Stadium in Atlanta,Georgia.